New eers(TM) Custom-Fit Earphones Featuring the Sonofit(TM) Fitting System by Sonomax(R) Now Available for Purchase - Customers who preordered eers™ PCS-150 and PCS-250 custom-fit earphones by Sonomax® may now visit myeers.com to submit billing information and have their order shipped. Sonomax Technologies, Inc. (TSXV: SHH), today announced that the newest eers™ custom-fit earphones featuring the patented Sonofit™ Fitting System are now available for purchase at myeers.com. Customers who preordered the PCS-150 and PCS-250 models last month can now return to the website to finalize their order by submitting billing information. Shipments will be prioritized by the original preorder date. 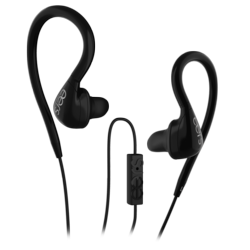 A low profile, ergonomically shaped design and ear loop that comfortably cradles the back of the ear, while providing a channel for the wire from the sound source, as well as assisting the user in proper insertion and removal. The ability to answer phone calls on a Smartphone through the use of the integrated in-line microphone. HTC Rezound Gets Strong 1900mAh Extended Battery from Mugen Power - New 1900mAh battery extends the life of HTC Rezound by 17%. 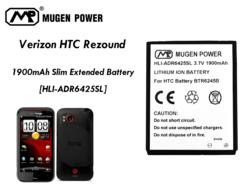 Mugen Power Batteries (mugen-power-batteries.com) the manufacturer of high-capacity batteries for handheld devices, today announces the new HLI-ADR6425SL Mugen Power 1900mAh Extended Battery for HTC Rezound which extends the time consumers can use this popular device. The battery is immediately available from Mugen Power Batteries with free shipping worldwide. Designed to provide maximum mobile freedom, Mugen Power 1900mAh (milliamp hour) Lithium-Ion battery extends the life of the HTC Rezound by 17% delivering more power than the stock 1620mAh battery. This impressive battery performance allows consumers, especially those who are often on the move, to use the device longer. The new battery is fully compatible with the HTC Rezound and fits well into HTC Rezound. As well as delivering longer life, the new battery is also exceptionally reliable. Like other Mugen batteries, the Mugen 1900mAh Extended Battery for HTC Rezound has undergone vigorous QA testing to ensure the highest quality and lowest return rate. The battery is also in compliance with the CE requirements. 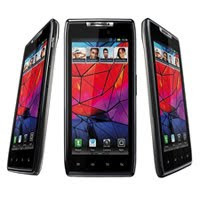 "HTC Rezound owners are often reported to complain about short battery life of the device. We worked hard on this project and managed to fit additional 280mAh capacity into same size as original battery. Our solution gives customers added battery life to stay connected longer without recharges and make more with the smartphone than ever before," says Nikolai Lebedovsky, marketing manager at eTrade Asia Ltd.
New iPad Cases Released Into the Wild - iPadCaseFinder.com, a worldwide distributor of iPad cases, announces the immediate availability of cases that are compatible for the newest iPad from Apple. Samsung Galaxy Note gets Strong 2650mAh Extended Battery from Mugen Power - New 2650mAh battery extends the life of Samsung Galaxy Note by 6%. 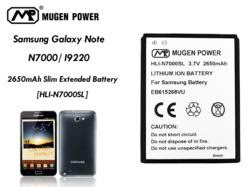 Mugen Power Batteries (mugen-power-batteries.com) the manufacturer of high-capacity batteries for handheld devices, today announces the new HLI-N7000SL Mugen Power 2650mAh Extended Battery for Samsung Galaxy Note which extends the time consumers can use this popular device. The battery is immediately available from Mugen Power Batteries with free shipping worldwide. Designed to provide maximum mobile freedom, Mugen Power 2650mAh (milliamp hour) Lithium-Ion battery extends the life of the Samsung Galaxy Note by 6% delivering more power than the stock 2500mAh battery. This impressive battery performance allows consumers, especially those who are often on the move, to use the device longer. The new battery is fully compatible with the Samsung Galaxy Note and fits well into Samsung Galaxy Note. As well as delivering longer life, the new battery is also exceptionally reliable. Like other Mugen batteries, the Mugen 2650mAh Extended Battery for Samsung Galaxy Note has undergone vigorous QA testing to ensure the highest quality and lowest return rate. The battery is also in compliance with the CE requirements. "Samsung Galaxy Note owners are often reported to complain about short battery life of the device. We worked hard on this project and managed to fit additional 150mAh capacity into same size as original battery. Our solution gives customers added battery life to stay connected longer without recharges and make more with the smartphone than ever before," says Nikolai Lebedovsky, marketing manager at eTrade Asia Ltd. "We have already released a 4500mAh battery version (mugen-power-batteries.com/mugen-power-4500mah-extended-battery-for-samsung-galaxy-note-with-battery-door.html), which provides exceptional usage time, but it does increase the size of device. This new 2650mAh battery provide an increase in usage time, but does not require increase in the physical size of Galaxy Note, this will be a perfect solution for those, looking for better battery but also want to keep original design". iPad 3 with 4G Unveiled: Full Specifications Available for Eager Apple Addicts at CouponBuzz.com’s New Direct Link - Earlier today at a press conference hosted in San Francisco, CA, Apple, Inc., unveiled the iPad 3, the much-discussed next generation tablet from the technology industry giant. The iPad 3 will retail at $499 for basic, and $599/$699 for the 4G versions (that’s right-4G LTE! 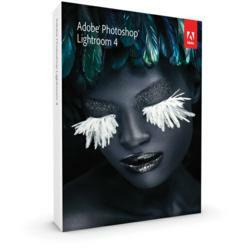 ), incredibly competitive prices in the tablet industry – especially considering the powerful capabilities and stunning innovations jam-packed into this sleek new kid on the block. 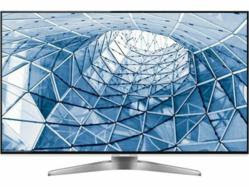 LCD TV Buying Guide Editors Jack Burden and Robert Wiley thoroughly review the features and many of the qualities the new Panasonic LED TV Models 2012 for models that will be entering the HDTV market this year from March – June. The editors have published features reviews for new series such as the WT50, DT50, and the new Passive 3D models in the ET5 series for 2012. “Panasonic has developed some great TVs this year in both plasma and now more large LED TV sizes for 2012. NewMacgadgets Introduces PAD-Lock to Secure the iPad 2 and the Soon to be Introduced iPad 3 - From the manufacturer of the original Apple Security Kit which sold over 2 million units, newMacgadgets is pleased to introduce the new PAD-Lock. 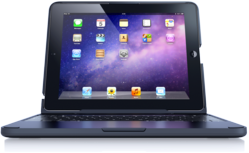 The PAD-Lock is the first security kit designed exclusively to work with the iPad 2 and the soon to be released iPad 3. From the manufacturer of the original Apple Security Kit which sold over 2 million units, newMacgadgets is pleased to introduce the new PAD-Lock. The PAD-Lock is the first security kit designed exclusively to work with the iPad 2 and the soon to be released iPad 3. 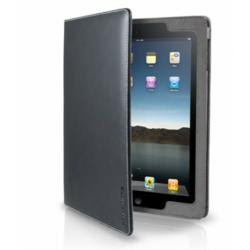 The PAD-Lock is engineered to allow full motion of the iPad 2 while minimizing any additional weight. The PAD-Lock is constructed from lightweight aircraft grade aluminum brackets that attach to the outer diagonal corners of the iPad 2. The security brackets attach below the iPad and create a base to raise the iPad 1” off the desktop. This allows the power cable and coated steel wire security cable to route underneath the iPad and out the back to provide a professional look. The PAD-Lock secures to any fixed object with a 7’ black steel wire cable and 32 mm brass padlock. The security brackets are held together with an aluminum sleeve and Torx tamper-proof screw. A universal mount is also included to provide an anchor point if a fixed object is not available. The included rubber pads create a soft cushion between the aluminum brackets and iPad surface to prevent scratching. Once assembled the PAD-Lock is barely noticeable. The black powder-coated security tabs match the iPad 2 front surface. Retailers and exhibitors will appreciate the professional look and added security that the PAD-Lock provides. Nokia Lumia 710 gets Strong 1500mAh Extended Battery from Mugen Power - New 1500mAh battery extends the life of Nokia Lumia 710 by 15%. 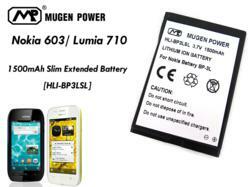 Mugen Power Batteries (mugen-power-batteries.com) the manufacturer of high-capacity batteries for handheld devices, today announces the new HLI-BP3LSL Mugen Power 1500mAh Extended Battery for Nokia Lumia 710 which extends the time consumers can use this popular device. The battery is immediately available from Mugen Power Batteries with free shipping worldwide. Designed to provide maximum mobile freedom, Mugen Power 1500mAh (milliamp hour) Lithium-Ion battery extends the life of the Nokia Lumia 710 by 15% delivering more power than the stock 1300mAh battery. This impressive battery performance allows consumers, especially those who are often on the move, to use the device longer. The new battery is fully compatible with the Nokia Lumia 710 and fits well into Nokia Lumia 710. As well as delivering longer life, the new battery is also exceptionally reliable. Like other Mugen batteries, the Mugen 1500mAh Extended Battery for Nokia Lumia 710 has undergone vigorous QA testing to ensure the highest quality and lowest return rate. The battery is also in compliance with the CE requirements.